Health and Social Services Minister Pauline Frost has announced the members of an independent, expert panel to provide strategic advice and expertise as part of the Health and Social Services Comprehensive Review. The review will include assessing all programs and services delivered by Health and Social Services and the Yukon Hospital Corporation, as well as those funded by the department and delivered by non-government organizations. The panel will look at how services are organized, managed and delivered, and will look to find efficiencies to better deliver services to Yukoners. Over the coming months Yukoners, First Nations governments and non-governmental organizations will have the opportunity to provide input and feedback into the review. A final report is expected to be developed by late 2019. We believe in delivering high-quality health and social programs and services that meet the needs and enhance the lives of Yukoners. This review will provide us with the direction to improve programs and services so they can be delivered in an effective and sustainable way for years to come. The members of this independent panel bring a wealth of knowledge including expertise in health and social systems and an understanding of Yukon’s health care needs and challenges. The independent, expert panel will have its first meeting in Whitehorse on November 8 and 9. Jennifer Zelmer, president and CEO, Canadian Foundation for Healthcare Improvement. The 2017 Yukon Financial Advisory Panel Final Report recommended the Government of Yukon conduct a comprehensive review of the healthcare sector. George Green – George Green is a long-time Yukon resident who has been involved with numerous non-profit organizations. George is the former executive director of the Learning Disabilities Association of Yukon (LDAY). He is also one of the co-founders of the United Way chapter in Yukon, the Food Bank Society of Whitehorse and the Yukon Anti-Poverty Coalition. In addition, George was a founding member of the Whole Child Project Committee. In 2013 George received a Caring Canadian award from the Governor General for his dedicated volunteer work. Gregory Marchildon – Gregory P. Marchildon currently holds an Ontario Research Chair in Health Policy and System Design with the Institute of Health Policy, Management and Evaluation at the University of Toronto. Prior to this, he served as a Canada Research Chair in Public Policy and Economic History, and professor in the Johnson-Shoyama Graduate School of Public Policy at the University of Regina. Bruce McLennan – Bruce McLennan, is the former deputy minister of Finance for the Government of Yukon (retired). 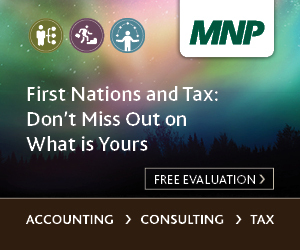 Bruce came to Yukon in 1980 after beginning his career with Revenue Canada in Ottawa and Vancouver, and holding the position of manager, Revenue and Taxation for the Government of the Northwest Territories. He was seconded to the federal Department of Indian and Northern Affairs in Ottawa to help develop fiscal arrangements with the territorial governments and to manage the Northern Oil and Gas Action Program. He returned to Yukon government and served as assistant deputy minister, Fiscal Relations and Management Board Secretariat., deputy minister of Health and Social Services and deputy minister of Education. He is also the chair of the Yukon Utilities Board. Diane Strand – Diane Strand is a member of the Champagne and Aishihik First Nations (CAFN). A granddaughter of well-known Yukon Elder, the late Mrs. Annie Ned, Diane belongs to the Crow Clan of the Southern Tutchone people. With an educational background in Business Administration, Diane is currently the director of Community Wellness. Diane’s is a member of Yukon Lotteries Commission, the Yukon First Nations Culture and Tourism Association, the St Elias School Committee, and was recently appointed to the Independent Advisory Board for Senate Appointments. Jennifer Zelmer – Dr. Jennifer Zelmer joined the Canadian Foundation for Healthcare Improvement as its President and CEO in September 2018. She brings a long-standing commitment to healthcare improvement to the role, as well as expertise in spreading and scaling innovations that deliver better health, care, and value. She is also the editor-in-chief of Healthcare Policy, an adjunct faculty member at the University of Victoria, and a member of several health-related advisory committees and boards. Previously, as president of Azimuth Health Group, Dr. Zelmer was a strategic advisor to leaders who sought to advance health and healthcare at local, national, and international levels. Before that, she held senior leadership positions with Canada Health Infoway, the International Health Terminology Standards Development Organization, and the Canadian Institute for Health Information. Dr. Zelmer received her PhD and MA in economics from McMaster University and her B.Sc. in health information science from the University of Victoria.